Unite the limited with the unlimited. When you experience everything as ONE in your consciousness, then you are said to be in yoga. To attain that unity within you, there are many ways. You work with the body, then work with the breath, then the mind, then finally your inner self. These sequential steps are different facets of yoga. It is important that all of them are addressed in a very balanced way, all at once, as one single entity in a sequence of progression. There is really no separation as such; yoga employs all aspects of - who you are. The body is a very large part of who you are right now. The science of using the body to hasten your evolutionary process is Hatha Yoga. The body itself has its own attributes and attitudes, its own ego, its own nature. Let us say you decided, “Starting tomorrow, I will get up at five in the morning and go for a run.” You set the alarm. The alarm rings. You want to get up, but your body says, “Shut up and sleep.” It has its own way, doesn’t it? 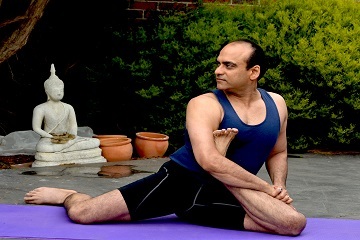 Hatha Yoga is a way of working with the body, a way of disciplining, purifying and preparing the body for higher levels of energy and possibilities in a resolute way. Hatha yoga is not exercise. Understanding the mechanics of the body, creating a certain atmosphere, and then using body postures to drive your energy in specific directions is what hatha yoga or yoga asanas are about. “Asana” means a “posture.” That kind of posture which allows you to reach your higher nature is a Yoga Asana. If you have observed yourself, when you are angry, you sit one way; if you are happy, you sit another way; if you are depressed, you sit another way. 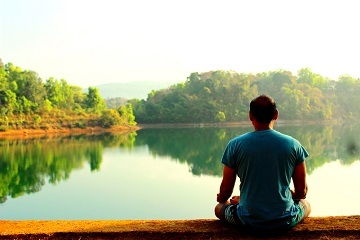 Another aspect of hatha yoga, when one wants to move into deeper dimensions of meditation, is that it allows for a higher possibility of energy. If you want your energies to surge upwards, it is very important that the pipeline of the body is conducive. If it is blocked, it will not work, or else, something will burst. Preparing the body sufficiently before one goes into more intense forms of meditation is very important. Hatha yoga ensures that the body takes it gently and joyfully. Most yogis just use the simple postures to break the limitations of who they are. That is all I learned when I was eleven years of age – just a few simple postures. It is just the way it is done that makes the difference. Ha-Tha Yoga simply means balancing the two polarities of your existence. ‘Ha’ stands for Sun and ‘Tha’ stands for Moon. This can be described in other ways as Male and Female, Hot and Cold, Shiva and Shakti, Yin and Yang, left and right hemisphere of your brain or in yogic language Ida and Pingala. When you balance these two factors of your existence, yoga happens and peace and good health automatically flowers and flourishes.